Kipp Farms was estabilished 1848. The Farm was originaly a dairy, beef and sheep farm ran by Thomas and James Paul who arrived from England. It has been handed down from generation to generation. The farm is currently owned and operated by Thomas Kipp who is 6th gereation family farmer and his father, Richard Kipp, 5th gerneration farmer. Richard, who is 80, actively keeps 20 acres in Monroe, WI. His farm has grass fed cattle and sheep. Dicky is often seen at the market on the weekends. You would never believe he is 80 and he is no where close to retiring. Tom was born on a farm and loves to farm. Tom's favorite animal is the jersey cow. Tom showed jersey cows in the state fair for 35 years. In 2009, his cow, Claudia, won supreme champion. Tom plows, furrows and plant 70 acres around North Prairie. 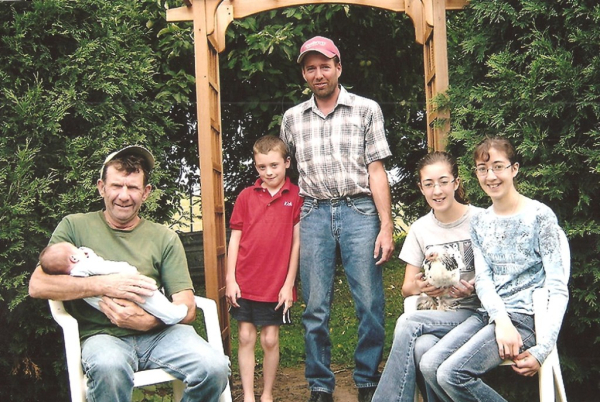 His hard work of raising hay, beans, GMO free corn, and oats allow Tom to control his feed that he gives the livestock. Just like how we like to eat local, we like our herds to eat well grown and local food too. Tom's son Jacob, is 7th generation born and raised farmer. When Jacob was an infant he spent many hours inside the barn helping his dad milk and talk care of the cows. Jacob is now 13 and still loves helping and taking on responsibilities of the farm. Jacob loves his sheep. He is the head shepard at Kipp Farms. This spring he expanded his heard with two twin ewes, and one ram. 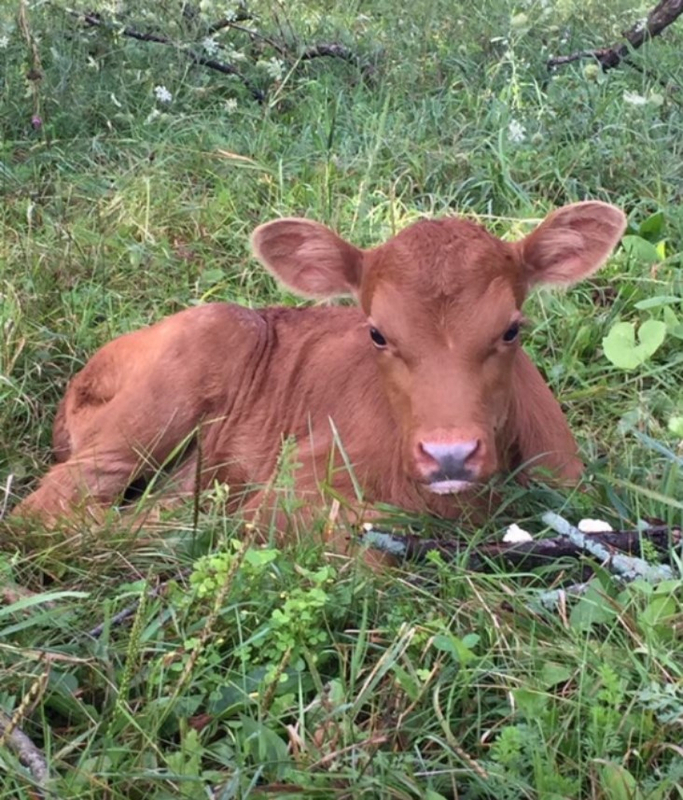 This is a small history and introduction to the family farm. Stop by and see us! You'll learn more and more. 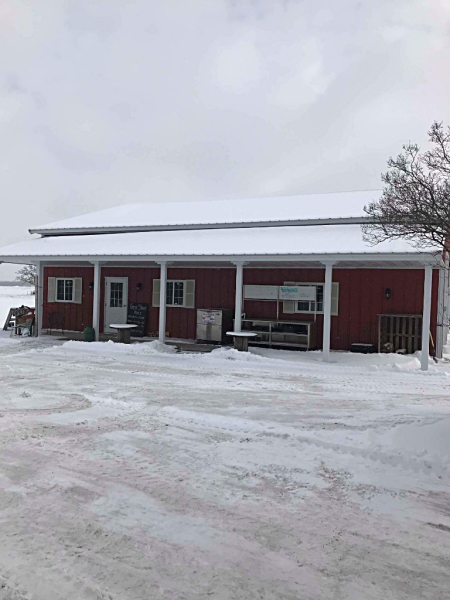 Our Farm Stand has our grass fed beef, farm fresh pork, pastured lamb, heritage chicken, chicken eggs and duck eggs, homemade soap and in the summer our fresh organic raised produce. Get your Farm Fresh Eggs any time and any day at our self serve egg cooler! Once you buy farm fresh it will be hard for you to purchase from the grocery store again. Weekly specials are posted on the large white sign. When your food doesn't travel as far the vitamins and nutrients last longer. When you eat food from your local community you support your small family farmer, and you support farm animal rights. ​There is pride when you can say, " I know where this meat, tomatoes and lettuce came from", "I know this animal was raised with respect and love. ", "This animal lived a good life." Stop by if we are available we will give you farm tours and let you see and pet the farm animals. We are never too old to learn.